"Last week I successfully transferred a bunch of shows off my older Tivo HD to my computer with the latest Tivo Transfer app just fine. Now, I use it to try and snag some new episodes of the same off of my new Tivo Premiere and most of them have the "Red Circle Slash" icon next to them. I've known that is the cable the Tivo company restricting us from doing this. Is any anything I can do to remove or get off the protection." It's easy to transfer Tivo recordings to your computer with Tivo Desktop, however, Tivo recordings marked with a red circle slash can usually not be transferred due to the copy protection. There are some free programs can assist you to remove commercials from Tivo recordings, one of them is the Perl program KMTTG, but you may find the process is too complicated or operate. 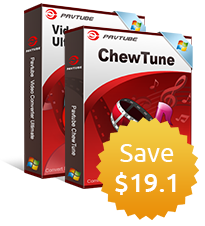 If you want to find a more simple to use application, you can download Pavtube Video Converter/Mac, the program has a free trial version with the ability to remove the copy protection from Tivo recordings and convert into a more common file format like AVI, WMV, MP4, MOV for you to easily play on computer with Windows Media Player or transfer to Android phones/tablets. 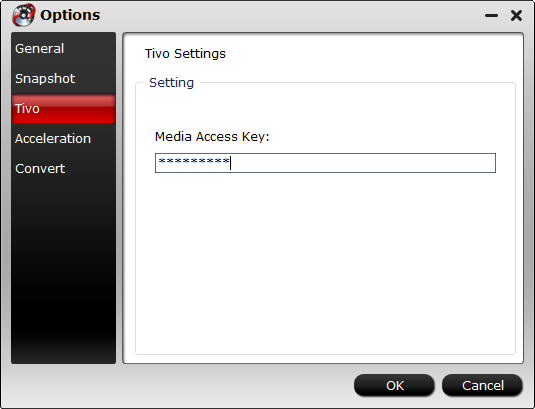 Tips: The free trial version will help you to output a non copy-protected Tivo recordings with Pavtube watermark on it. You can register for a full version without watermark leaving on the output video. 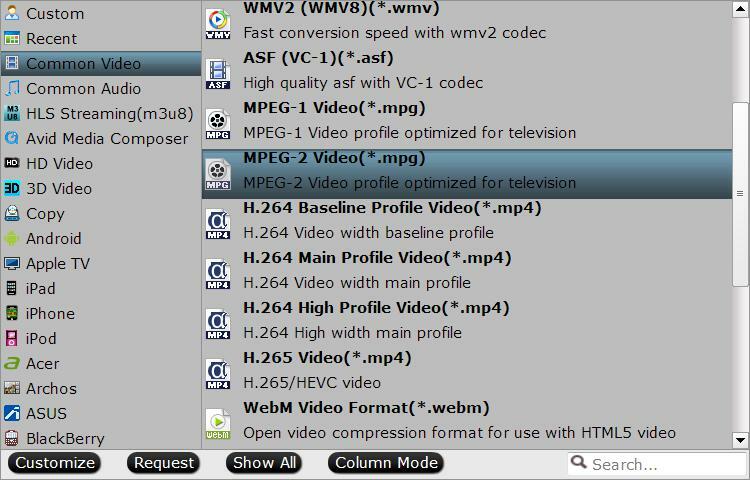 Go to "Format" drop-down bar, select on of your desired format to output, for example, you can choose "MPEG-2 Video(*.mpg)" to output from Tivo for buring to DVD. Step 4: Start Tivo recordings copy protection removing process. 1. 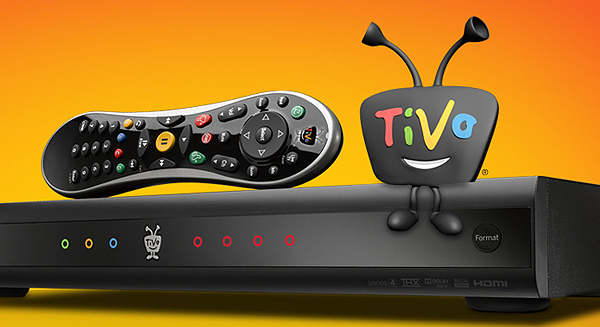 Connect your Tivo box to your home network and then install and launch the Tivo Desktop Software for the PC on your PC. 2. Click "Pick Recordings to Transfer." A window showing your Tivo box's "Now Playing" or "My Showings" list appear. 3. Check the box next to the title of the recordings you want to transfer. 4. Click "Start Transfer." A transfer window will pop out. 5. The shows you have transferred to your computer will be listed in Tivo Desktop's "Now Playing List". Click "Tivo Recordings" to reach the "Now Playing List". 6. To watch a show, select any title from the list and then click "Play". You computer's default media player such as Windows Media Player will starts to play the Tivo shows automatically.